There are lots of movies and television shows with extremely iconic roles. Some of them are so well done that you can’t imagine them with any other actor. However, you might not realize that some of your favorite roles could have been cast with a totally different actor. Here are 15 famous roles that might have been. I’ll bet you couldn’t have imagined anyone else to play this famous role in The Dark Knight. It’s one of those movies that’s so great, every role seems cast perfectly. 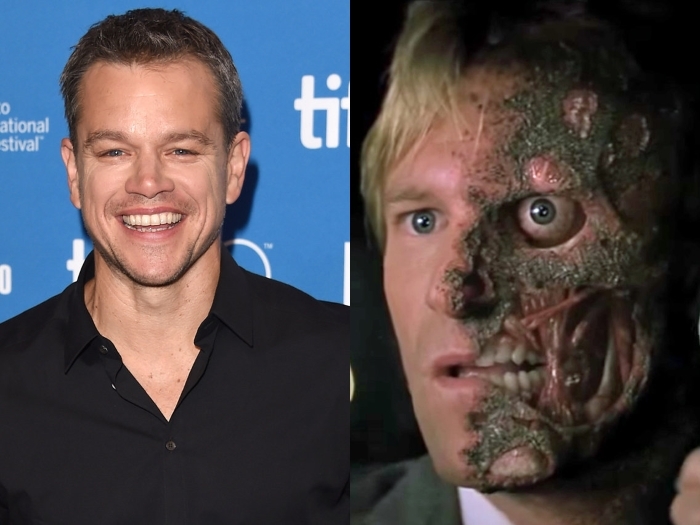 But did you ever think Matt Damon would have been on screen with that famous two-face look? It turns out, he turned down the role. And thus, we have the role played by Aaron Eckhart. This is just one of many famous roles that could have gone very differently if cast differently.